My faith in my abilities have been restored! 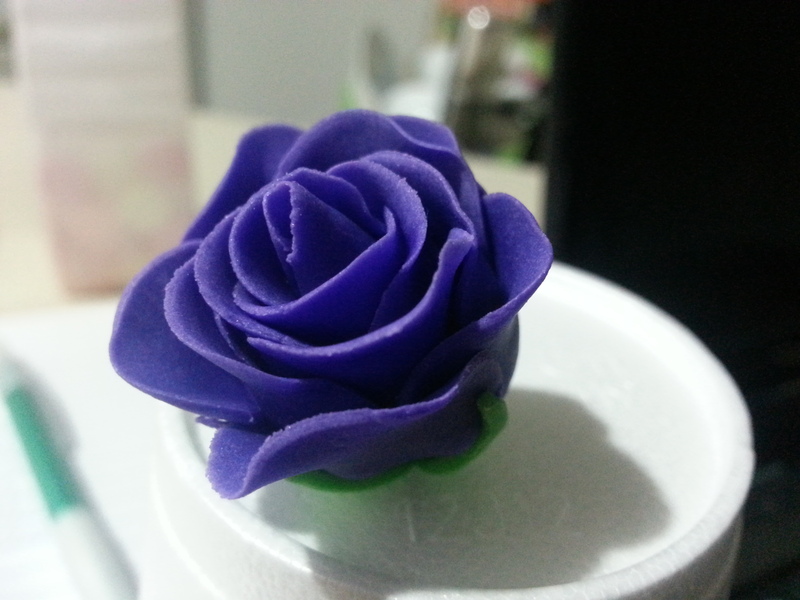 This week, I did so much better than I did the previous one. Lately, I’ve been understanding the instructions a lot more clearly, and things have been just coming to me. I AM SO EXCITED! To my dismay, during the beginning of the course, I didn’t seem to catch on as quickly as the other girls. Nevertheless, I was lucky enough to have a kind instructor that just stuck there with me and didn’t mind my desperate, incessant questioning. But wait, not all this week was smooth sailing. 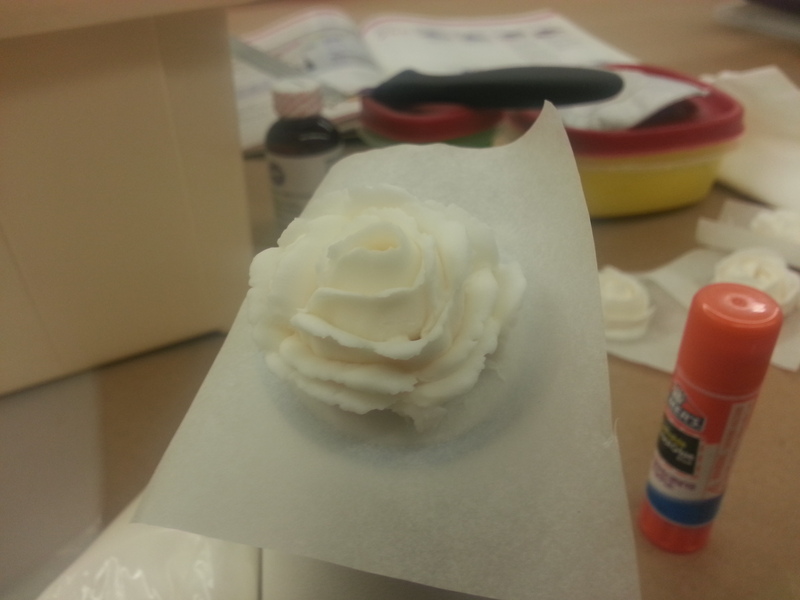 Unfortunately, one of the classes required royal icing. 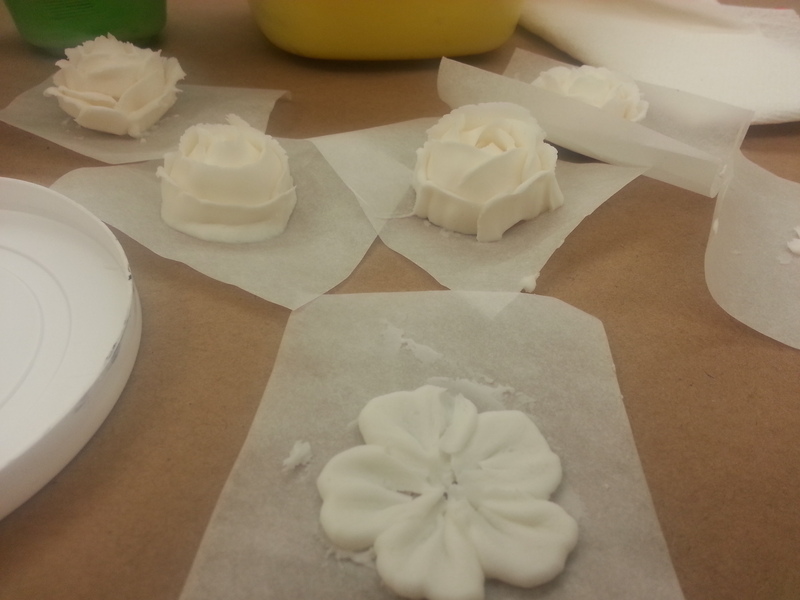 Let me break it down for ya’: royal icing is not difficult to make IF you have a mixer. If you don’t have a mixer Wilton’s recipe for royal icing will be absolute hell. My kitchen was covered in powdered sugar! My hand-mixer is crap. I loathe its very existence. Anyway, as always, the instructor came to my aid, obviously. Check her out! 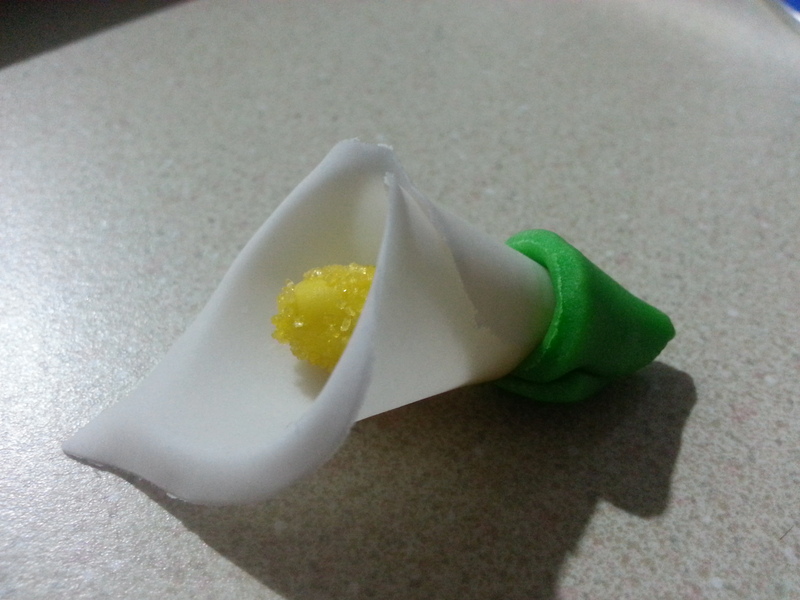 I even dyed the gum paste. Mely I’m so proud! They are beautiful!